Telling your story is what will set you apart on the shelves. Learn what 3 things consumers look for in a powerful story. I recently read about Secret Deodorant’s new casting call for its “All Strength, No Sweat” campaign, which plans to use inspiring stories from real-life women while unveiling four new products. Storytelling is all the rage these days. Brands are using this powerful marketing tool for the three Cs (as I call them)—catching, connecting, and convincing consumers that their products are exactly what they need. 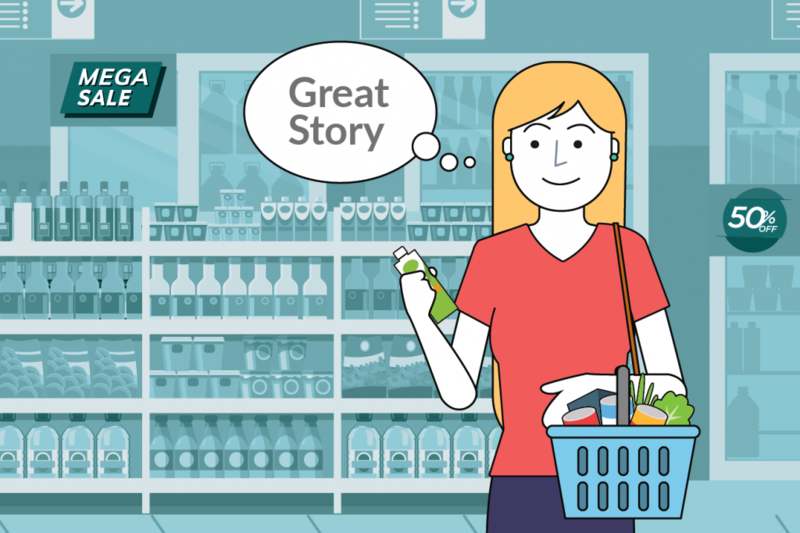 Grey Goose, Huggies, and Maltesers have all seen success from the use of storytelling, and countless other CPG brands are heading fast and furious down the storytelling path. But if you’re still not convinced your brand needs to embrace storytelling as part of your marketing plan, here are three reasons why you should be. 1. It forces you to focus. Storytelling helps you engage better with consumers, and can create a deeper connection, but not if you can’t get to the point quickly. You only have a few seconds to grab a consumer’s attention and hold it long enough to relay your brand’s attributes. You’re not sitting around a campfire sharing long, rambling stories of yore, after all. If you have 30 seconds to tell a story, you have to really hone in on those brand attributes that are imperative to share and tighten that connection with the consumer. 2. It sets you apart. Does your brand have an interesting origin story? Are there things about your brand that none of your competition can match? Of course you do, and of course there are! But unless you can craft the delivery of those attributes in an interesting way, your customers may never know. And that’s where storytelling comes in. Instead of force-feeding these interesting tidbits about your brand to your consumer, going for the hard-sell, if you will, when you share them via storytelling, you differentiate yourself from the competition, bringing consumers in as you share a piece of yourself, and inviting them to do the same. You’re not telling consumers what they need, you’re helping them expand their world. 3. It puts your consumer first. In the age of personalization, where consumers want any and all information tailored to meet their needs, storytelling allows brands the opportunity to do just that. If one of the essential points of storytelling is to connect with consumers, a brand can’t share just any old story, or a story consumers have heard so many times they could practically tell it themselves. Brands need to think about what their consumers want to know, and what they need to hear, and curate their story to meet those needs. When a brand wants to catch, connect, and convince consumers, storytelling is the marketing tool of choice today. If you’re not using it for your brand, chances are you’re missing out on so many opportunities to show your consumers that they matter, and that you’re listening. 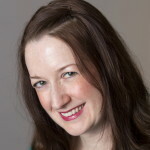 Molly Olson is a writer and editor 10+ years of experience working on print and online publications in the CPG space. Her work has appeared multiple national publications, including the Baltimore Sun and Retail Leader. She is a self-proclaimed grocery store nerd and proud of it. Enter your email address to subscribe to the RangeMe blog and get notified of new posts.